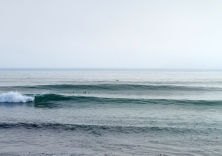 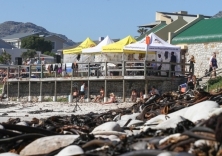 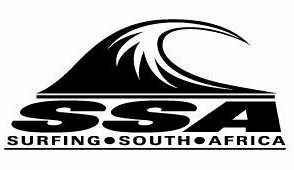 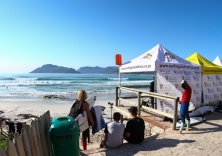 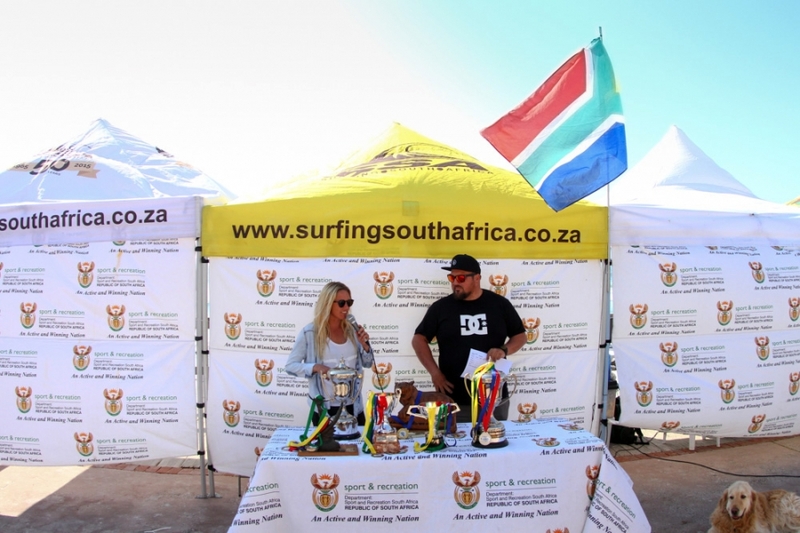 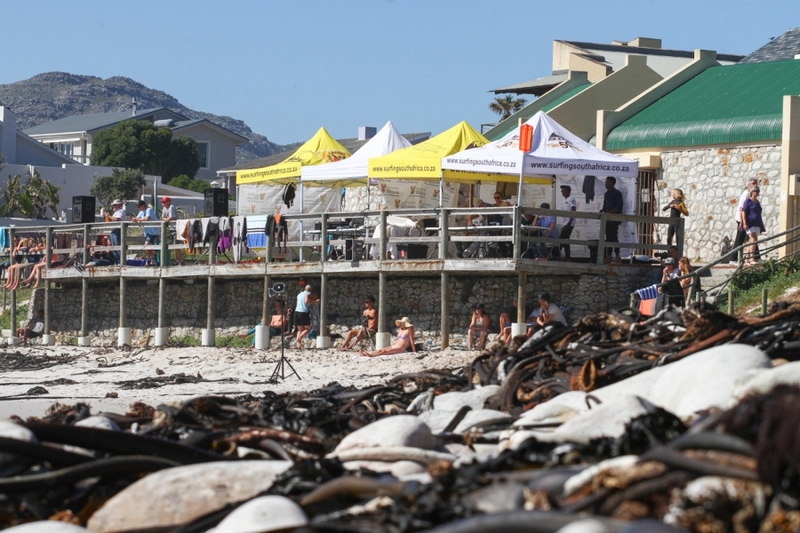 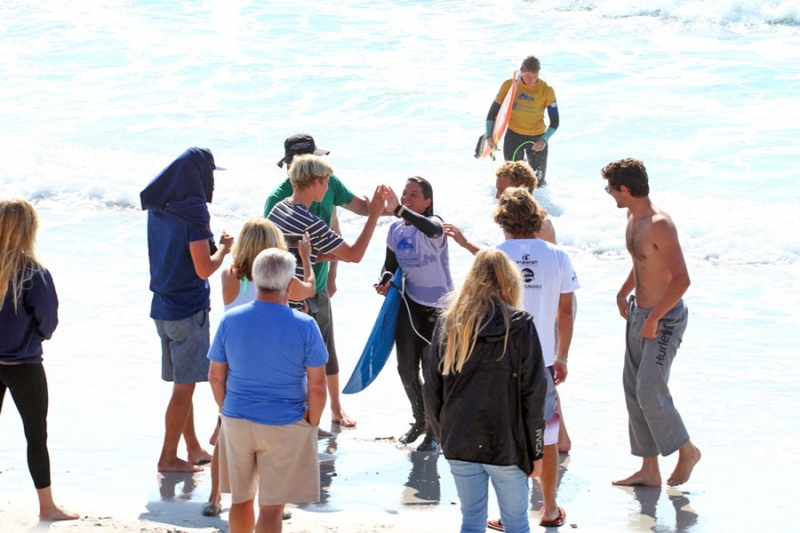 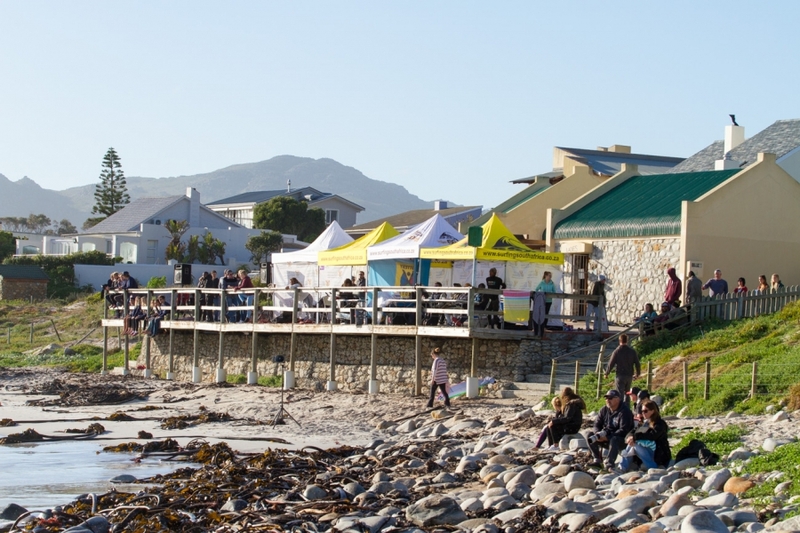 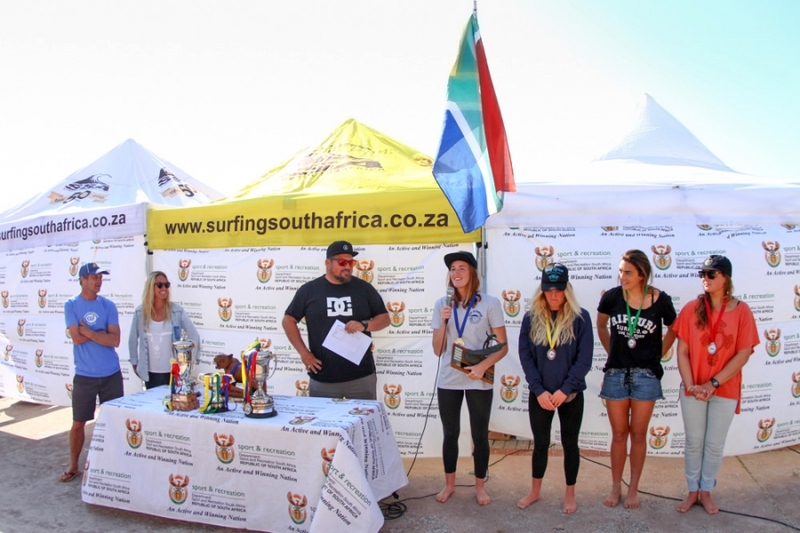 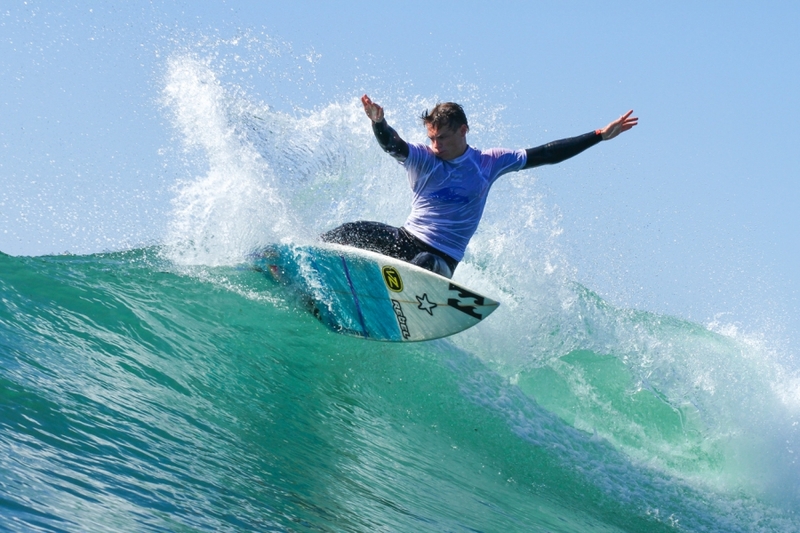 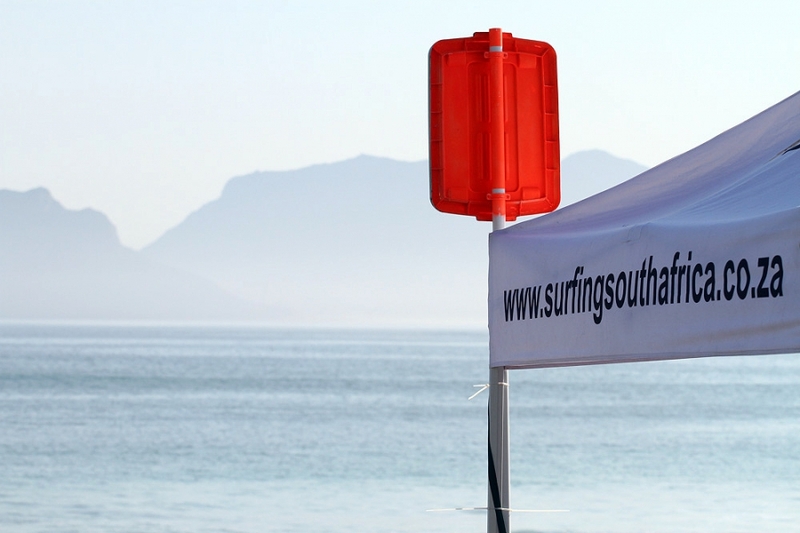 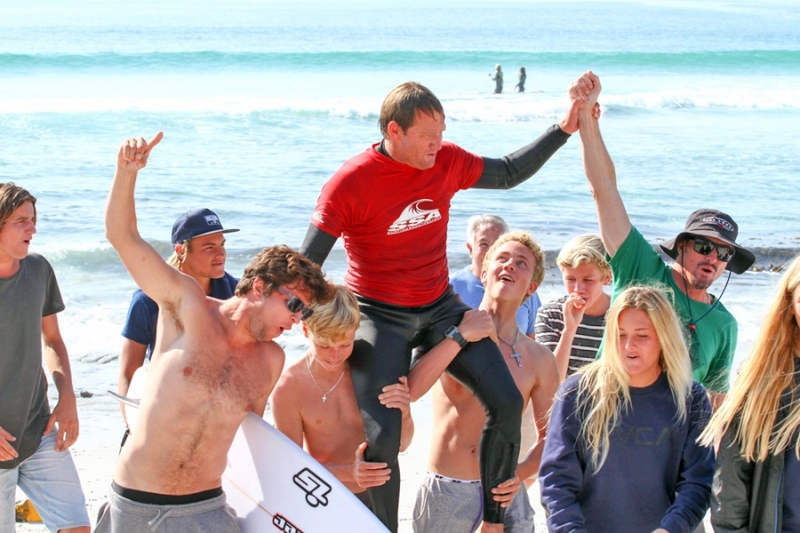 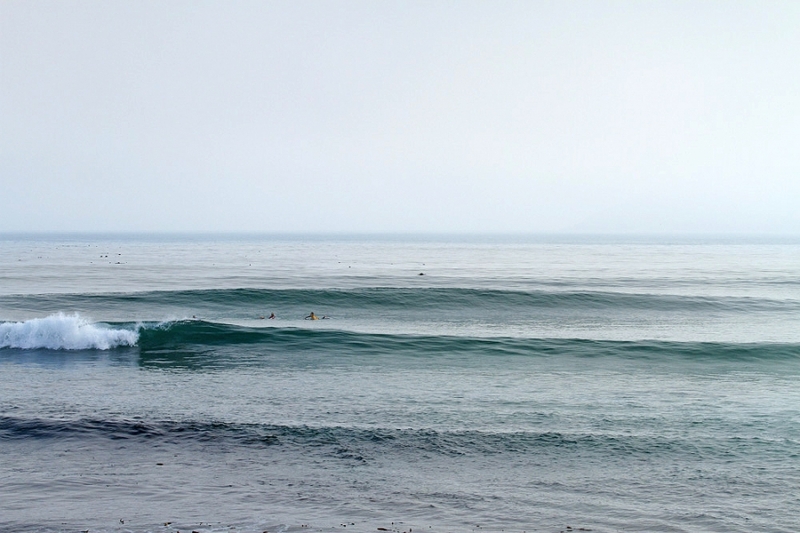 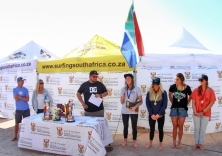 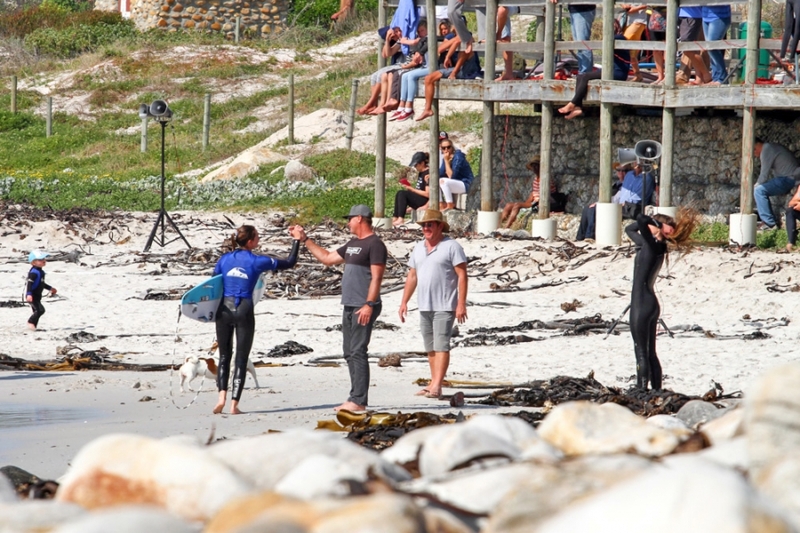 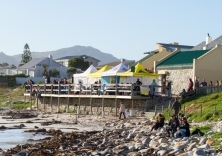 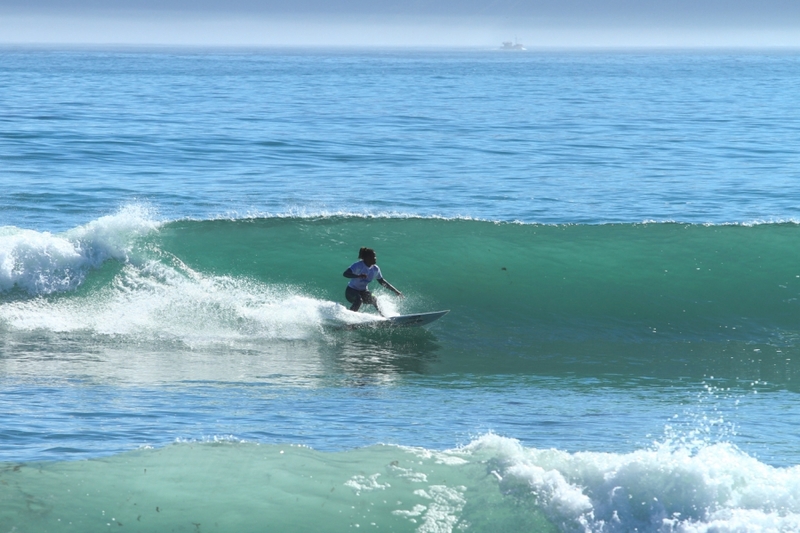 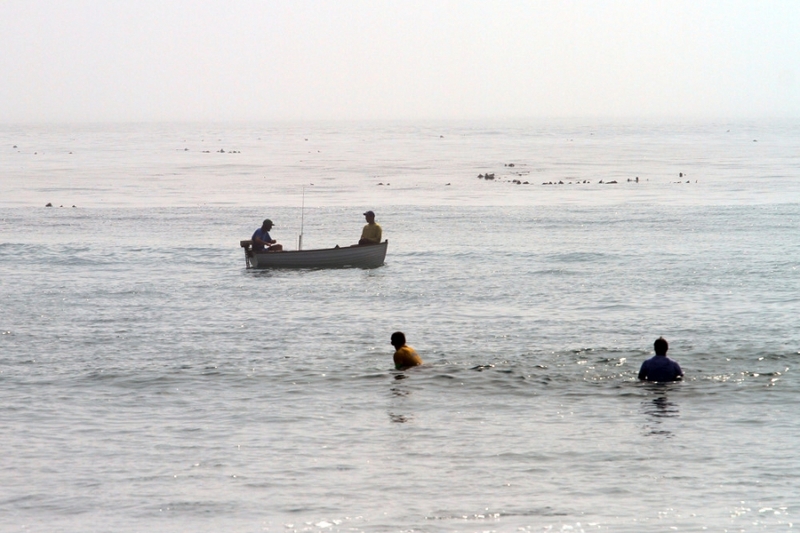 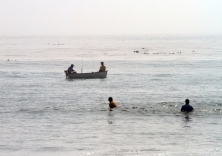 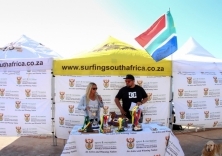 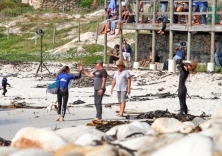 Solid 4 foot surf, light southerly winds and perfect Spring weather greeted the 100 surfers from eight Districts and three Provinces in the 51st South African Surfing Championships which got under way at Long Beach, Kommetjie today. 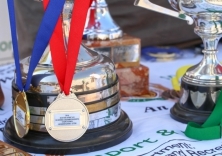 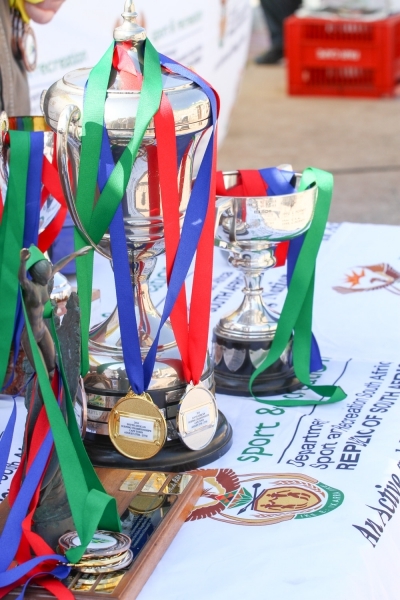 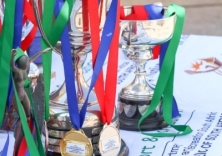 Teams made up of Open Men and Women and U20 Boys and Girls are representing defending champions eThekweni, hosts Cape Town, former champions Buffalo City and Nelson Mandela Bay,Ugu,2015 hosts uThungulu, Cape Winelands and Eden at this long standing event. 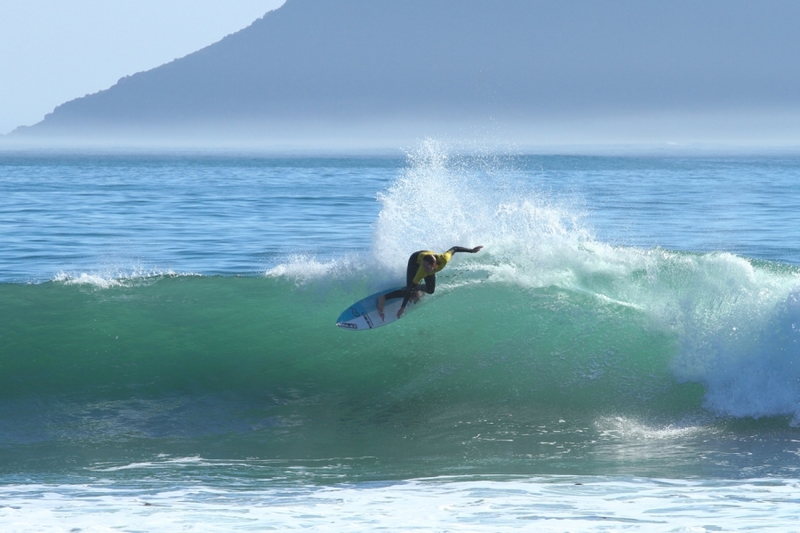 Nikita Robb of Buffalo City – photo by Ian Thurtell. 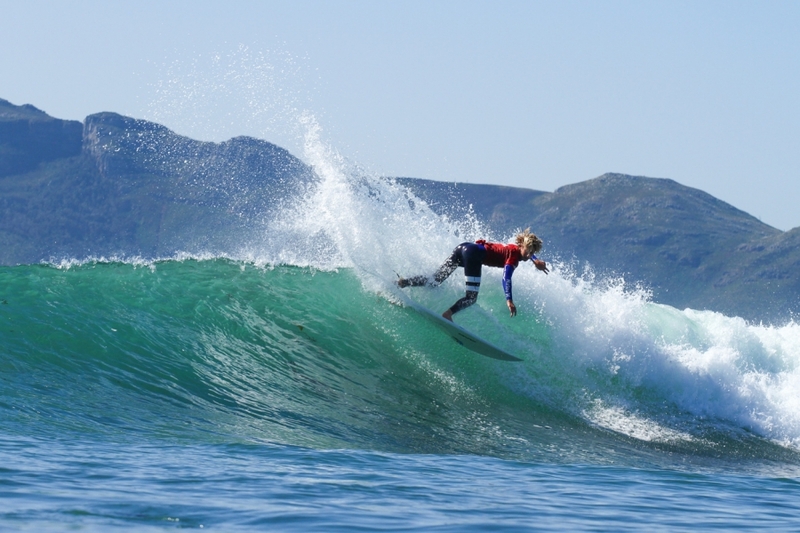 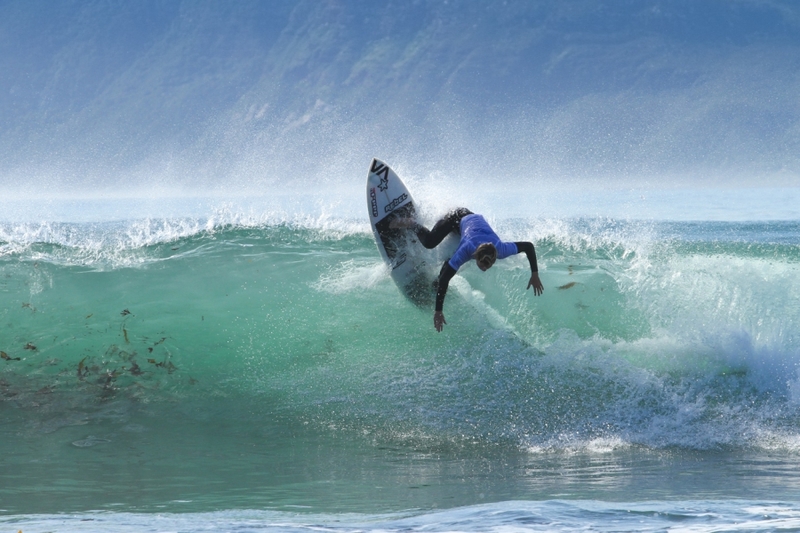 Jordy Maree of Cape Town Surfriders – photo by Ian Thurtell.